Networking plays an important role in the success of any business, but can benefit small business owners in particular. It’s about making connections through face-to-face meetings and gatherings or via other methods such as email, phone, and through social and business networking websites. Networking is a low-cost and effective marketing method that can help establish mutually beneficial relationships with other businesses or individuals. However, not all business owners are comfortable with networking. Why is this the case? 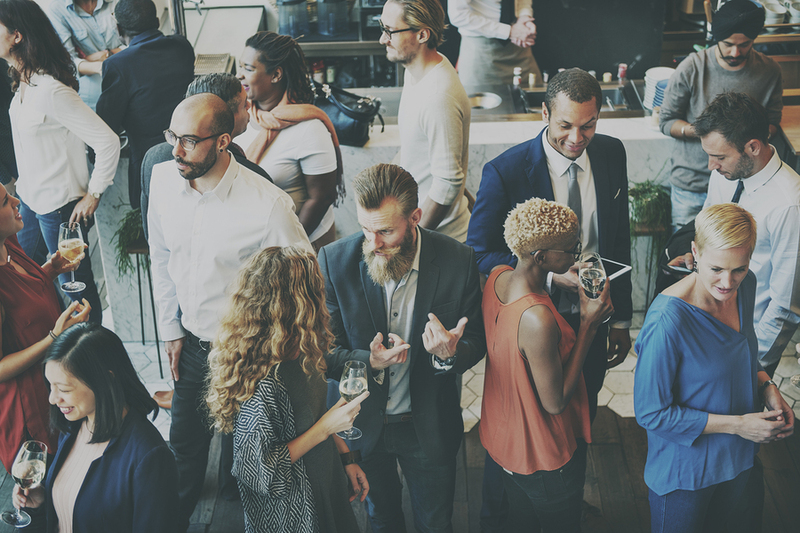 If you’re one of those people who doesn’t particularly enjoy networking events, allow me to explore their benefits and how to make connecting with others work for you. Do people really hate networking? In Dr. Misner’s study, only 6 percent of respondents were “uncomfortable” networking or “did not like it at all” and more than 57 percent were “comfortable” or “loved” networking. 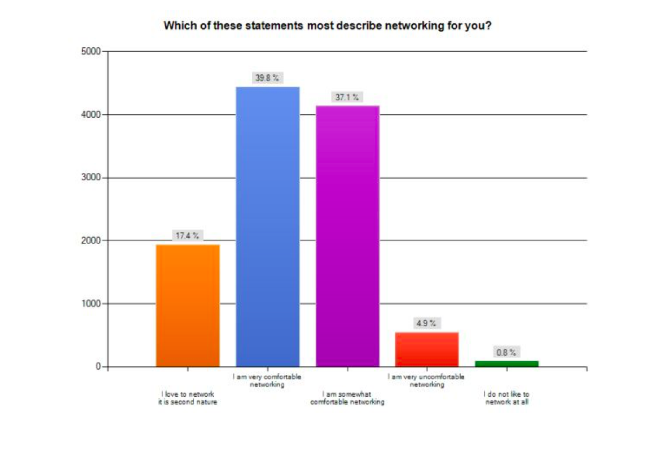 The remaining 37 percent of respondents were “somewhat comfortable” networking. Although Dr. Misner was able to prove that the majority of respondents to the survey were comfortable with networking, the fact remains that there are still plenty of entrepreneurs who shy away from business networking. Why do some people avoid networking? Most people fear being rejected. This is particularly true for those who are new to networking. They may be intimidated by experienced and confident networkers who seem to make connections effortlessly. This does not mean, however, that introverts will not succeed with networking. In fact, some of the most successful business people that we know today were introverts. Being “too busy” with other concerns is the common excuse for not wanting to participate in an activity or business opportunity. These people will give you a list of their current duties and responsibilities to justify their reluctance to network with others. Successful people are also busy. Despite their full schedule, they also have thriving businesses. The difference between successful entrepreneurs and those who are not lies in knowing how to prioritize things. If you want to grow your business, you need to make networking a priority. According to Marny Lifshen, it’s important to “adjust your mindset to include networking as a required part of the job, short-term and long-term.” Create a plan on how you will network. Once you have established a plan, make networking a habit. Lifshen explains that networking does not have to take a long time; you just need to be realistic. Most of us have limitations with time, money, and energy. So, work within these limitations when you develop your networking plan. Networking involves dedicating time to cultivate relationships. Your contacts will naturally want to know if they can trust you before they will help you. In the same way, you will also learn if you can trust your contacts and if nurturing relationships with them will be mutually beneficial. For Joseph M. Heaney III, President of New York-based Walden Environment Engineering, an engineering consulting firm, it took some time before he settled on networking as a business development tool. He also advised networkers to “be willing to participate and put the time in to get to know folks in your network.” He added that networkers need to give without expecting anything in return and they will get back much more in return. Some people believe that networking is the same as selling, and this scares them off. According to Eric Byrd, founder and Principal Coach of Virginia-based Pitch for Success, a training and coaching program for professionals, networking is not really marketing or selling but it is part of your marketing and selling process. When you introduce yourself to someone and ask to do business with them, that is not networking. That is direct selling. By networking, you are connecting with people to do something with them—as opposed to selling, where you do something to other people. Networking is vital to the success of any business, but it does not have to be scary. If done right, networking can even be an enjoyable activity. What can you do to make networking enjoyable? Events that focus solely on networking can be intimidating to people who have little experience in networking. Such events are particularly difficult for introverts who feel awkward in introducing themselves and participating in conversations with people they have just met. Try attending seminars, lectures, or a fundraising event. This will make it easier for you to meet new people and mingle with others because there is already an available conversation topic (e.g. the seminar or lecture topic; the cause you are helping raise funds for). Attending events that are of interest to you will make it easier for you to start a conversation with people you have just met. For example, if you are a car enthusiast, you can go to a local car show. You can also attend your high school or college reunion where you can reconnect with old friends and classmates. This is an easier way of building your network and they may also connect quickly with you since you are familiar with each other. Going to an event because you feel that you have to may prove to be counterproductive. Keep in mind that you will be meeting people you have never seen before. You know nothing about them and they know nothing about you. Your attitude at the event will create lasting impressions on others. If you go there out of requirement (to introduce your business to others), even if you have no interest in the event, people will notice. Instead of gaining new connections, you might drive others away. Bringing a friend with you to an event may make you feel at ease when you meet others for the first time. However, do not remain with your friend during the entire event and close off other people. When you bring a friend to an event, stay together at first. Avoid facing each other while talking and show other attendees of the event that you are interested in making new friends. People generally do not want to intrude on other people’s personal space. They look for signs that you want to make new friends. You can also separate from your friend when you arrive at the event. You can meet other people during this time but you can go back to your friend if you start feeling uncomfortable. Before going to an event, try practicing having a conversation with a friend. Prepare open-ended questions. Doing so will help you feel more confident. When other people see that you are confident, you draw them closer to you and you keep them engaged longer. Many people fail to connect with others because they are more interested in talking about themselves and their business. Most people do not care about you or what you do until they know that you care about what they do. Instead of going on and on about yourself and your business, ask people about themselves. Be attentive and show genuine interest when they are talking. Social media is part of almost every individual’s life these days; nearly everyone has a social media account or two. You can use social media as a method of communicating with people you connect with. You don’t have to be on every social media site to do this. Facebook, Twitter, and LinkedIn are good starting points. When you meet people, ask if you can connect with them on social media and stay in touch through these channels. Neil Patel said one of the most important things that he learned is that “networking is a lifestyle.” He explained that if you treat networking as a lifestyle, you won’t get anxious about meeting new people and connecting with them. Networking involves building and cultivating relationships with different people. It is a give and take process. It is all about creating value for your connections. When you focus on how you can help people within your network, you will find them responding to you in the same way.